You are here: Contests / Have You Gotten Your Tickets for the Meaning Of Life Tour? Have You Gotten Your Tickets for the Meaning Of Life Tour? Legends! Kelsea’s heading back out on the road with Kelly Clarkson and Brynn Cartelli next month and we want to know who you’re going to the show with! 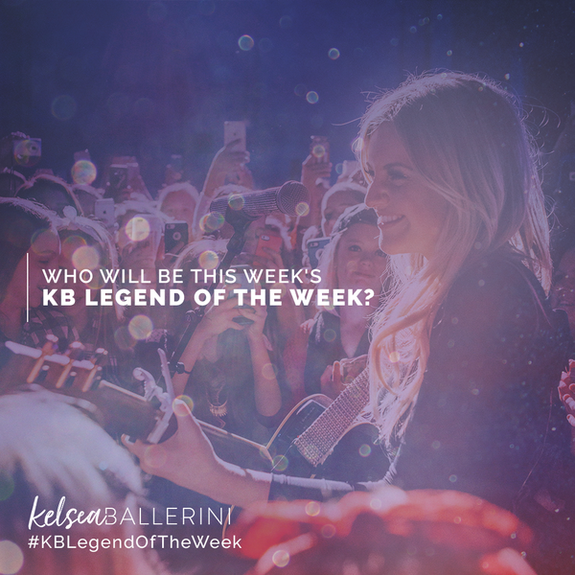 Share a picture of you and your KB partner in crime below, with which show you’re attending, to be featured as this week’s #KBLegendOfTheWeek! Bonus points if you share on Twitter or Instagram tagging Kelsea, using the hashtags #MeaningOfLifeTour and #KBLegendOfTheWeek. If you haven’t gotten yours yet, tickets are available here: kelseaballerini.com/events. Good luck, Legends! I would be going with my mother in law we seen you in St. Louis when you toured with Keith urban in 2018 we would love to see you again you are awesome and we love your music .???????????? Yes I got my tickets. How do we sign up for meetngreets or upgrade to VIP to meet you. Can’t wait to see this explosive show.